NFL Blitz was one of those classic sports titles that owned arcades during the late 90s and early 00s. In fact, the NFL Blitz franchise is one of the last reasons I had to visit arcades, outside of Marvel vs. Capcom, before they became extremely rare. This previously Midway-developed and published series was loved by both fans and critics alike. It's last entries stood as Blitz: The League I and II, which obviously didn't pack the NFL license that EA picked up several years back. Since then, Midway has gone defunct and is currently liquidating its assets under Delaware bankruptcy laws. 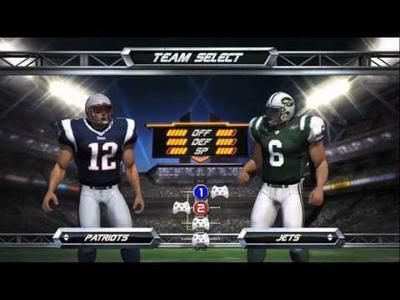 Now, as EGM has the exclusive, EA Sports is bringing NFL Blitz back to console gamers. Coming in time for the playoffs (according to EGM's preview), NFL Blitz looks like a love song to fans of the classic, arcadey action. You'll see 30 yard first downs, late hits, ridiculous tackles, simplistic plays, seven-on-seven action and absolutely no penalties … sound familiar? Good. Check out EGM's full impressions of this classic title. We don't know how this game will be distributed regarding whether it will see full retail or digital release over the PSN and Xbox LIVE Arcade. We assume EA Sports will go with the latter given the light nature of the title at hand. We'll have more on NFL Blitz as it comes.